Help for teens, adults, couples & families. Pursuing therapy is not easy for most of us. You’ll find me an authentic, dynamic, and sometimes humorous partner in sorting out the concerns that brought you to therapy. I want you to feel comfortable and at ease in the often difficult task of trusting someone with understanding the challenges you are facing. So, I am committed to being an active, compassionate listener that offers accepting, affirming and authentic interactions. Though I have experience and training in many different areas, I think it is the feeling of being heard that makes therapy a significant and helpful experience. And though it’s sometimes hard to accept that you may need some help figuring things out, I’m a pretty down to earth person who knows that we all share in the need for help now and then. I had the unique experience growing up as the daughter of a summer camp director. This rich experience shaped me; teaching me creativity, resourcefulness and a deep appreciation for people from all over the globe. As a result, I have developed an affinity for and focus on children, teens and their families. In being a youth counselor and now child therapist, I have had extensive training and experience with child, adolescent and family issues and how to support and help parents with their children’s struggles. In this context, I offer parenting support and family counseling to help with relationship issues so that everyone feels heard and an important and valued part of the family. I also specialize in helping families cope with separation and divorce, and helping straight, gay and lesbian ex partners and spouses navigate the challenges of co-parenting. My practice, experience and education have also given me insight into gender and sexuality concerns, working with the queer community and LGBTQ+ issues for young people and adults (click here for more information on my approach to working with the LGBTQ+ community), , including sexual orientation counseling, sexual and gender identity help, and coming out. As an LGBT therapist who has been part of the LGBTQ+ community, I have devoted my professional life to understanding the needs of my community. I have been both enriched and committed to giving back; offering gender, and sexual orientation counseling, care for LGBTQ+ issues and LGBT couples and families address relationship issues. I get what it’s like. And as an LGBT therapist who has been a part of the queer community for over 35 years, I make it a priority to offer a place where understanding and unconditional support and acceptance are a given, however you express your sexuality and gender and wherever you are on the gender and sexual orientation continuums. 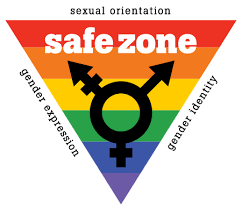 So, whether you identify as gay, lesbian, bisexual, pansexual, asexual, queer, transgender, GNC, two-spirit, gender queer, choose a different identity, or just prefer not to be labeled at all, I’m right there with you. Lastly, I make it a commitment to help all types of couples to make their relationships work again. I use many different approaches to help couples rebuild their connection, improve intimate bonds and be able to share and feel heard. So, whether you and your spouse or partner are fighting all the time, barely talking, feeling disconnected, feeling angry and resentful or just feeling nothing, I am here to help you figure out what is not working between you and see how to make it work again. The issues that come up between couples can be very difficult and painful, and as a result, it is not unusual for couples to want to avoid addressing these challenges. I provide a safe space for partners, when they are ready, to explore these deep feelings and needs and help each to feel understood. So, whether you are in a straight, gay, lesbian or poly or other relationship, I am here to help each person share, be heard and heal themselves and where possible, the relationship. Professionally, I have been a licensed clinical social worker providing child and family counseling for over 25 years, helping adults, kids and families through the different challenges of life. I received an undergraduate degree in sociology, human sexuality, and gender and women’s studies, and a Masters in Social Work (MSW) at UNC at Chapel Hill. I earned my license as a clinical social worker (LCSW) in 2000. For over 35 years, my studies and experience, including volunteer work, have been in the areas of understanding and supporting people’s exploration of sexuality and gender. I am a cisgender woman who has been an active part of the queer community for 35 years. I was raised by parents who were social workers and who taught me that the role of citizens and social workers is to stand up for human rights and marginalized communities. As a result, I value and support those brave enough to participate in furthering equality, justice and human rights in their’s and other’s communities. I am also currently the Advocacy Chair at the NC Society for Clinical Social Work; participating in and advocating for the needs of clinical social workers and those who seek psychotherapy services at statewide committees to enhance treatment services to those in NC. Originally from the NY/NJ area, I have resided in and been providing counseling and psychotherapy services in Raleigh for more than 25 years. For more information about my experience, especially with kids, families and the LGBTQ+ community, you can resume here. Or for a counseling psychotherapy appointment, just click on schedule appointment below & schedule an appointment on your own.